Clifford ‘Old Maid’ with very sanguine faces! 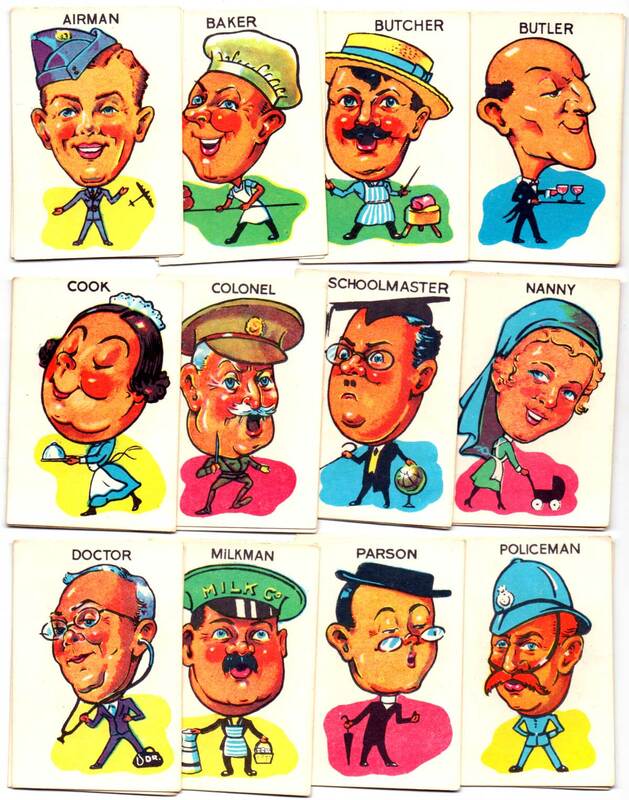 These characters were also used in Clifford’s companion “Donkey” game. 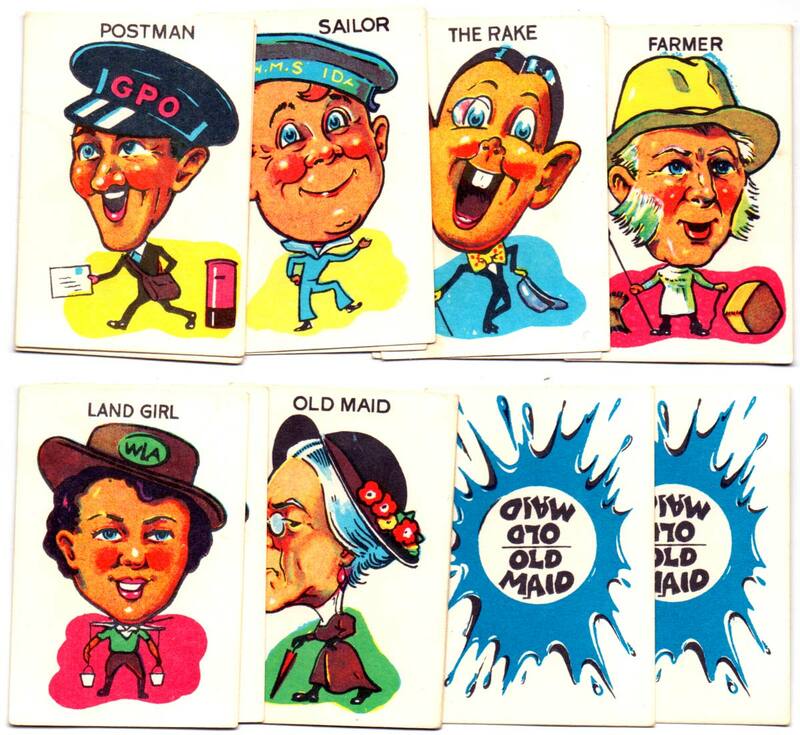 Above: Clifford Toys ‘Old Maid’, 36 cards + rules in box, c.1960s. Above: earlier edition of Clifford ‘Old Maid’, 36 cards + rules in telescopic box, c.1950.